Abu Dhabi is home to the buffet. There are buffets everywhere and they are a regular pass time for both expats and nationals (the word National is defined as anyone from the UAE). Expats here in the UAE live a hotel life. Most restaurants, although there are a few exceptions, do not serve alcohol so we are forced to drink our booze at hotels. 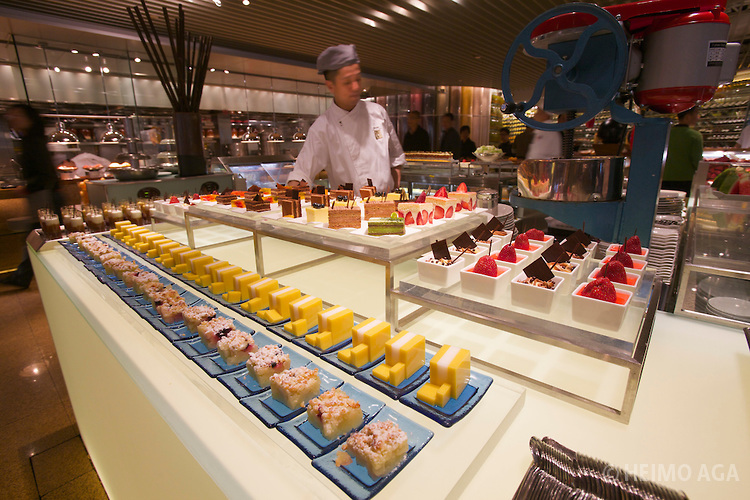 The fancy and over-the-top buffets at the hotels offer three options: 1. food only 2. food and drinks 3. food, drinks, and bubbly. Many have bands, chocolate fountains, oysters, lobster, sushi, and an enormous array of calorie laden desserts (more on this later). They are as beautiful as they are tasty. But the hotel that the company put us up at during the interview process doesn’t have a chocolate fountain or even a band; it’s quite boring really except for the steady stream of people who support my never-ending habit of people watching. It’s a buffet of people. People from all over the world. Some are smartly dressed, others are mismatched, attractive, rich looking, poor looking, and then in walks what appears to be an American couple. So of course, I ease drop on their conversation and as it turns out they are from Arizona too. And they are interviewing with the same company as my husband. What a coincidence. By the end of the brunch we are all making plans for the joint yard sale we are going to throw in Arizona when we decide to move over. The family reminds me of the Partridge Family. There are several members of the family and they all play musical instruments. As I’ve gotten to know them better they will actually bust out in song at the drop of a hat. The kids are hippy intellects who wear flea market clothes and travel the world staying with people they don’t know. I learn that they lived in both Pakistan and Afghanistan. The mother is English and was raised in the Middle East because her father, a psychiatrist, packed the family up and moved to provide counseling to abused women. And as an adult, she and her husband followed tradition and packed up the family and moved to Afghanistan where he provided medical care to Afghanis. They decided to move when taking an armed bus to the hospital seemed a little extreme. I am told she speaks really bad Urdu. Which, I must admit, is better than anything I could produce. So what kind of people pack up and move to the Middle East? You would be surprised. 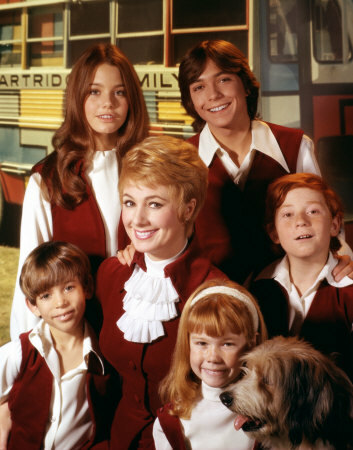 So far I have met the Partridge Family, a few other well paid executives, and country hopping teachers. I feel like I have been introduced to a group of people that I did not know existed: the nomadic, countryless people. It is really difficult to classify these people. They are kind of from here but they’re really from there. Their accent is from here but they’ve lived primarily there. It’s odd to meet a Texan from Thailand or a New Yorker from Liberia. I meet a farmer from Tennessee who sold his cattle, auctioned his house and moved to Saudi Arabia in the 1970’s — that takes some serious kahunas. Seriously, who does that kind of thing? This being my first expat experience the idea at first seemed a little crazy to me but as I get to know these people it seems less crazy and more normal. Maybe the folks sitting at home in their recliners are the crazy ones? On the last day of the trip we took a tour of rental villas with a real estate agent. The young guy showed up looking as though he was a leftover from last night’s party and he must have showed us four of the worst looking homes Abu Dhabi has to offer. Compared to our previous homes in the States, and these attractive villas above, these villas looked like squatters tents or foreclosed properties. 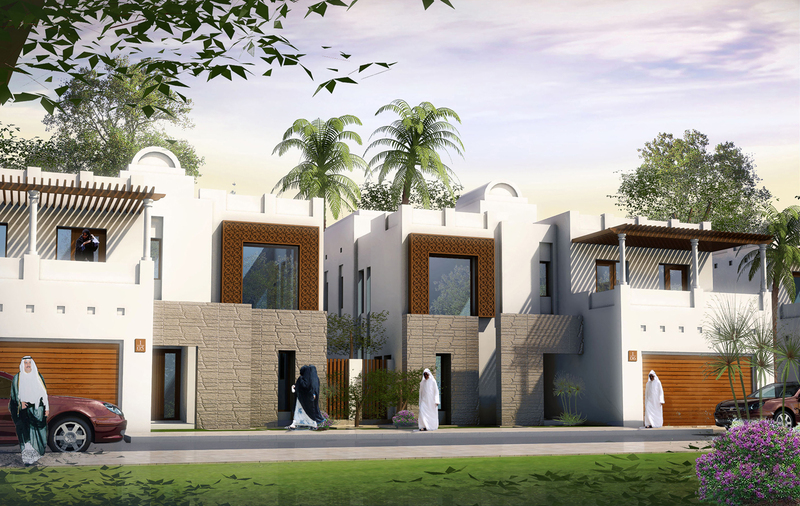 Real estate practice in Abu Dhabi is different because the homes are not cleaned until someone leases them so the villas we looked at were disgusting. The lawns were overgrown with weeds, the pools were full of green slime, windows were completely missing and birds were flying in. Our first impression was not only no — but hell no! Why would we leave the comforts of everything we have worked so hard for in order to move into this mess? My husband, being far more diplomatic and courteous than me, tried to explain to the Realtor that this isn’t quite what we had in mind. Me, on the other hand, wanted to slap him for wasting our time. I gave him a serious what the hell is wrong with you look and we returned to our hotel with our excitement squashed and a sad feeling of uncertainty. Abu Dhabi really excels when it comes to food and Real Estate.